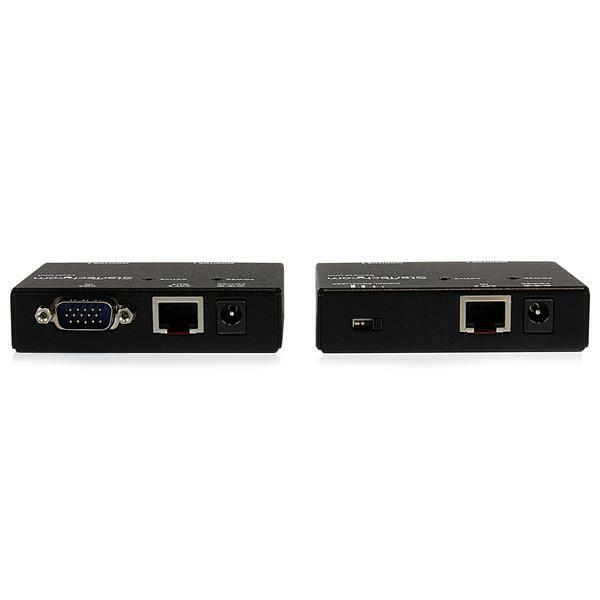 The ST121UTP VGA Video Extender over Cat5 allows you to extend your VGA video signal by up to 150 meters (500 feet) and connect up to 4 displays (2 local and 2 remote) from that single source. 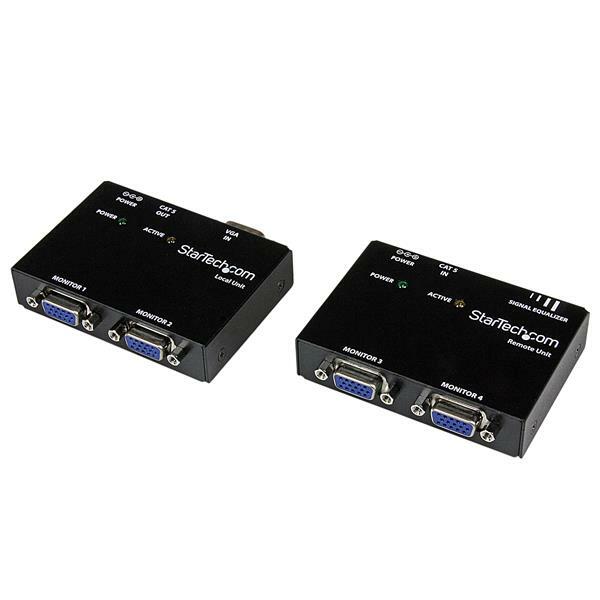 The ST121UTP is a bundled kit including both a local transmitter and a remote receiver unit, offering a complete solution for scenarios in which remote monitor displays are required. The local unit features a single VGA input as well as two VGA outputs giving you the ability to view and split your source VGA signal to two independent displays locally. 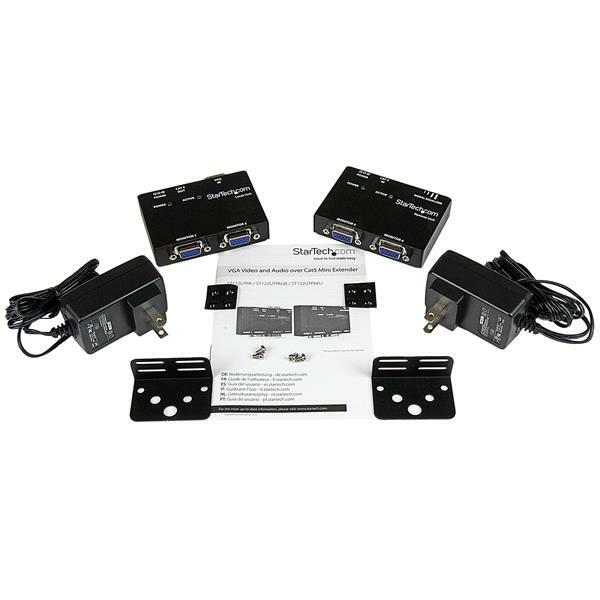 The VGA video signal is then sent over standard 4 pair Category 5 or better UTP cable to the remote unit which also features two additional VGA outputs giving you the freedom to display your VGA source on up to four monitors in total. The included a mounting bracket for the ST121UTP receiver provides versatile mounting options such as a wall, desk or cabinet. This product is TAA compliant and backed by a Startech.com 2-year warranty with free lifetime technical support. I used this item to attach my Camera DVR to my TV. NO power supplies needed is a big plus and I ran about 75ft of Cat6. It works perfectly. Replaced a failed Kramer unit with similar performance. Needs power at both ends. Kramer sent power over the CAT5, so only needed power at one end.